U.S. sanctions have created new difficulties for American businesses working in Russia, a recent survey of companies has said. Last month, the United States sanctioned several Russian companies and businessmen for alleged meddling in the 2016 U.S. election and other “malign activities.” Russia vowed to inflict “precise and painful” damage to the U.S. in response, this week passing a bill granting the Kremlin the power to decide which foreign products from “unfriendly” countries to restrict from the Russian market. One out of four American companies put new projects in Russia on hold while more than one-third said they face disadvantages because of U.S. sanctions, the RBC business outlet cited an annual American Chamber of Commerce in Russia survey as saying Thursday. 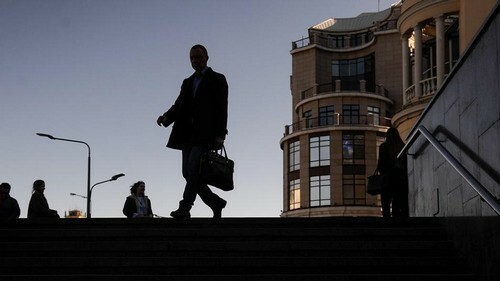 The sanctions negatively affected the plans of 84 percent of the surveyed companies, RBC said. Despite the difficulties, most American companies remain upbeat and expect the strategic Russian market to recover in three years despite a bleak geopolitical outlook, RBC cites Ernst & Young auditor’s managing partner for Russia, Alexander Ivlev. 72 companies including Apple Rus, Coca-Cola HBC Eurasia and ExxonMobil took part in the AmCham Russia survey conducted in April.